The insanity continues at America’s colleges. 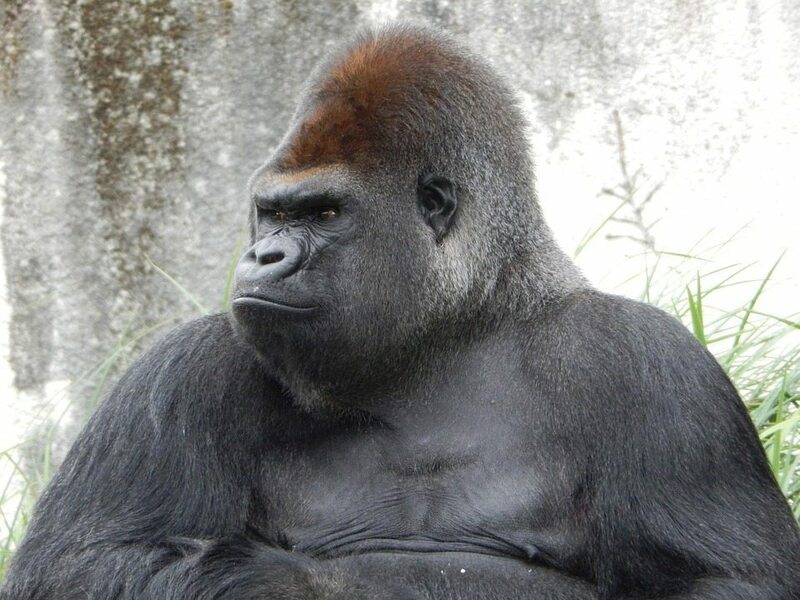 Now comes word that a student housing director at the University of Kansas reportedly told a resident assistant (RA) that a picture of a gorilla is unacceptable in a jungle theme because it’s too masculine. 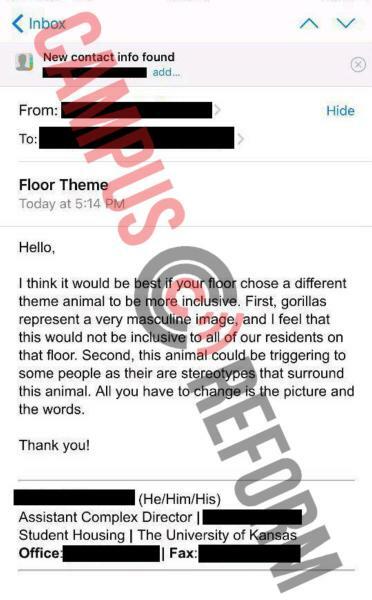 In an email obtained by Campus Reform, a university employee with the school’s student housing department writes to a resident advisor, who wishes to remain anonymous, to explain to him that he cannot use an image of a gorilla for a routine floor decoration. Say what? More inclusive? Very masculine? Are these people out of their minds? What stereotypes is Morrow referring to? We don’t know, because he doesn’t say.